Go right to our monthly greenhouse growing table. January In January we can begin planting frost tolerant plants. Potatoes, beets, leafy salad greens, Swiss chard, spinach, bulb onions, turnips, radishes, and carrots. Beets and carrots can be transplanted repeatedly from March to September. Bulb onions can be transplanted as early as January. The greenhouse should stay above 45 degrees. Keep an eye out for pests. Don’t over water plants to prevent diseases. February Transplant the frost tolerant plants into your garden. Make sure you climatize the plants to the outside environment over a few days prior transplanting them. Start planting cool weather plants like broccoli, cabbage, cauliflower, and lettuce. Sow tomatoes if planting from seed. Keep the greenhouse between 55 and 65 degrees. Keep the soil damp but not wet. Make sure you ventilate your greenhouse during the day as needed. March Transplant the frost tolerant plants into your garden. Make sure you climatize the plants to the outside environment over a few days prior transplanting them. Start planting cool weather plants like broccoli, cabbage, cauliflower, and lettuce. Keep the greenhouse between 55 and 65 degrees. April Transplant your cool weather plants into your garden climatizing them in the same manner as you did with your frost tolerant plants. Now is the time to plant your warm weather vegetables. These include tomatoes, vining beans, cucumbers, legumes, squash, peppers, eggplant, potatoes, peas, corn, and melons. These plants cannot withstand a frost. Do not move them to your garden until average temps reach 70 degrees. Warm weather plants prefer a growing temp of 70-85 degrees. The weather can still sneak up on you. Be ready to cover your plants as needed. May Continue to plant your plants from April. Keep a close eye on any plants that you’ve moved into your garden. Dampen floors if needed to keep temperatures cool and add humidity to your greenhouse. Mold and other fungi can become a serious problem. Use fungicide as needed. June This time of year is mostly based around maintaining the plants that you have. Dampen floors if needed to keep temperatures cool and add humidity to your greenhouse. July Begin the second crop of cool-season vegetables if it’s appropriate for your region. 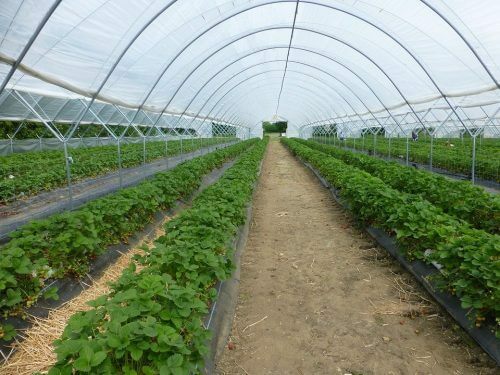 Dampen floors if needed to keep temperatures cool and add humidity to your greenhouse. August Begin the second crop of cool-season vegetables if it’s appropriate for your region. Climatize your plants at the end of the month for transplanting in your garden. Dampen floors if needed to keep temperatures cool and add humidity to your greenhouse. September Climatize your cool-season vegetables for transplanting in your garden. Expect fluctuating temperatures. 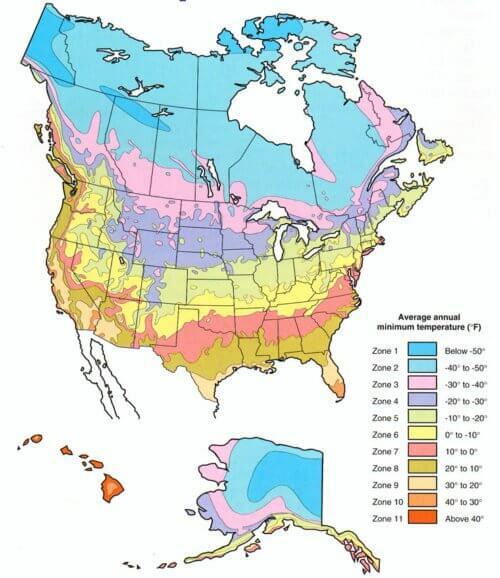 Cool or heat your greenhouse as needed. October Harvest your mature cool-season vegetables. You can continue to plant cool temperature vegetables as long as the weather holds. Bring plants that aren’t a hardy inside. Protect your plants as needed as the temperatures begin to drop. Especially at night. November Pot chives, parsley, and mint. Sow certain beans, lettuce, and carrots if you’re growing them from seed. Harvest your mature cool-season vegetables. November is our month to focus on repairs. Ensure any holes, cracks or other exterior damage is repaired. If you have heaters, make sure they’re working. Keep the greenhouse dry and cool. On warmer days you may need to ventilate. December Pot chives, parsley, and mint. If you still have a winter garden going, then maintain it as needed. December is the month to clean your greenhouse and prepare for the spring. Clean and organize any unused pots or trays. Wash the windows and disinfect the glass/plastic/frame with a garden disinfectant. While these planting times should be pretty accurate for most states in the center of the U.S. We suggest that you get specific planting times based on your plant heartiness zone. Some regions can vary greatly. When planting your vegetables, it’s best to follow the spacing directions on the seed packet. You should consider using commercial soil for planting in your greenhouse. If you need to use native soil, it’s recommended that you steam the soil to kill any fungus and parasites. Don’t let the name “frost resistant” fool you. These plants still can’t resist long-term freezes. When ordering seeds, the term like new or improved normally refers to plants that are resistant to new diseases or are improved in some other way. Backyard greenhouse kits are a great way to get started without having to figure out exactly what you need to buy to build your greenhouse. 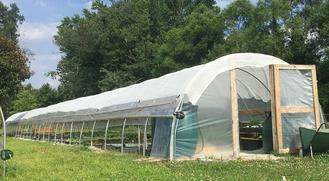 Bootstrap Farmer is our favorite place to shop for pre-made greenhouse kits. Do you have any suggestions to help people come up with a complete greenhouse growing schedule ? Do you plan your greenhouse growing month by month ? Let us know in the comments below! Be sure to check out our other preparedness articles. You can also read about how to build your own bug out bag.